and two polar calottes, the equatorial graduated in degrees and hours,the meridien at 30 degrees West of Greenwich graduated in degrees.The ecliptic graduated in days of the houses zodiac with sigils, and the tracks of Cook’s 1760 voyage.Australia is named New Holland. The terrestrial pocket globe after Moll is a 2 3/4-inch antique pocket terrestrial globe after Moll C.1770. and two polar calottes, the equatorial measures in degrees and hours, and the meridien at 30 degrees West of Greenwich. In the same way it has the ecliptic grades in days of the houses zodiac with sigils, and also contains the tracks of Cook’s 1760 voyage. In addition, Australia is named New Holland. 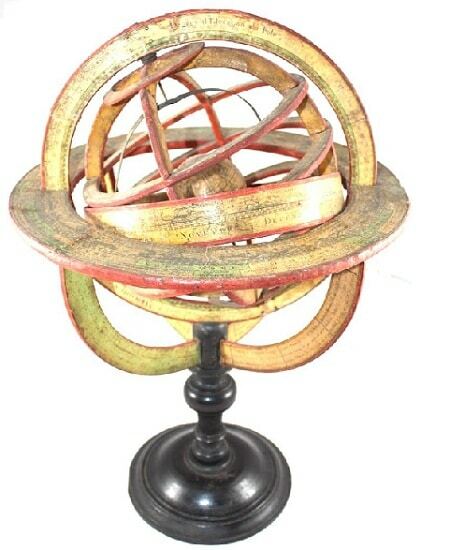 twelve hand coloured engraved celestial gores. 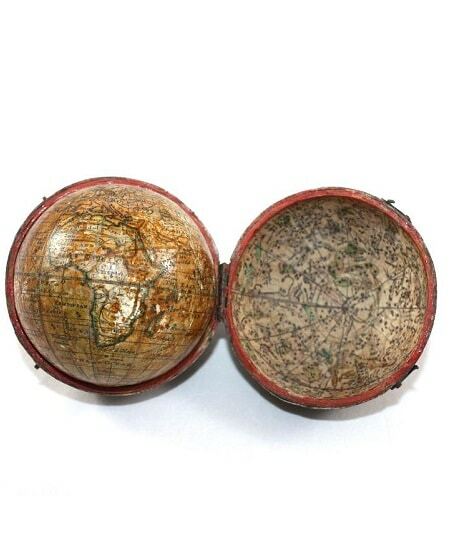 In conclusion, as you can find in the interior, there’s a stamp with the enunciation: “A correct globe with the news Constellations of Dr Halley & c.”. 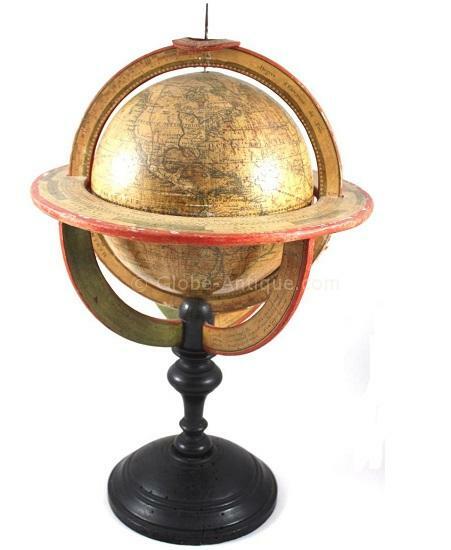 Clic here if you’re interested in more antique globes.